Immediately before cooking endive Peel the outer damaged leaves and rinse. Endive to throw boiling water - thanks to retain most of their juices. We boil for approx. 15 minutes. Time start to count from the time of re-boil water. 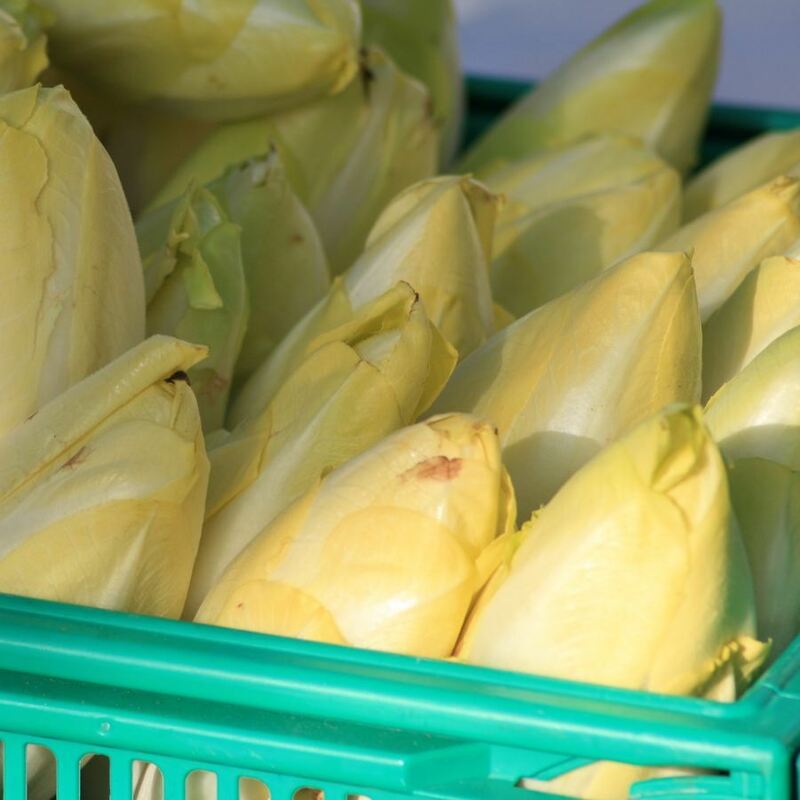 Immediately after setting with salt and add the lemon juice - thanks chicory retains its white color. Boil under cover - this shortens the processing time and reduces the loss of vitamins. Chicory is ready when completely loses its firmness. After cooking, drain off endive. After boiling water containing nutrients can be used for sauces, soups, etc. Giving, sprinkle with parsley. Serve hot or cold dishes, especially eggs and fish.